Because we like to celebrate here in Margaritaville, let’s toast to 10 fantastic, frozen concoction years! The 10th Anniversary Edition Key West™ Frozen Concoction Maker® will make you want to get out the salt shaker and slice up some limes. 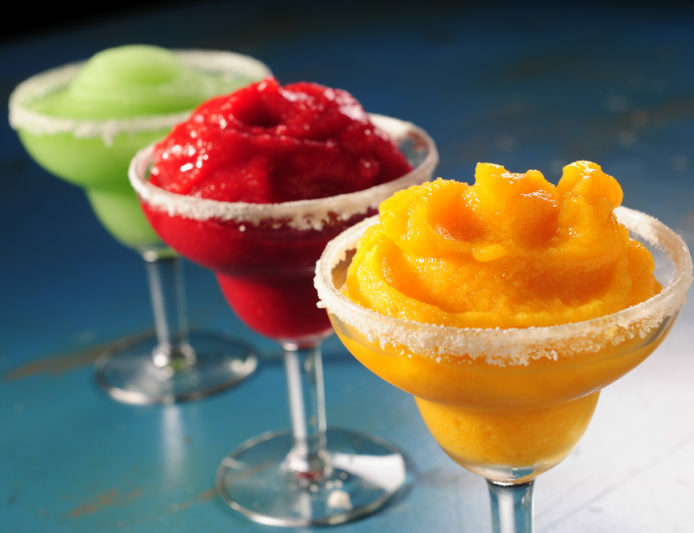 Check out these yummy, chilly recipe videos to make with your Frozen Concoction Maker. Make one, or make them all! Is it 5 o’Clock yet? For each cocktail, fill the reservoir with ice. Next, pour all ingredients into the Frozen Concoction Maker jar. Switch on to automatically shave ice and mix to the perfect consistency. Pour into glass of your choosing, and add on the garnishes!